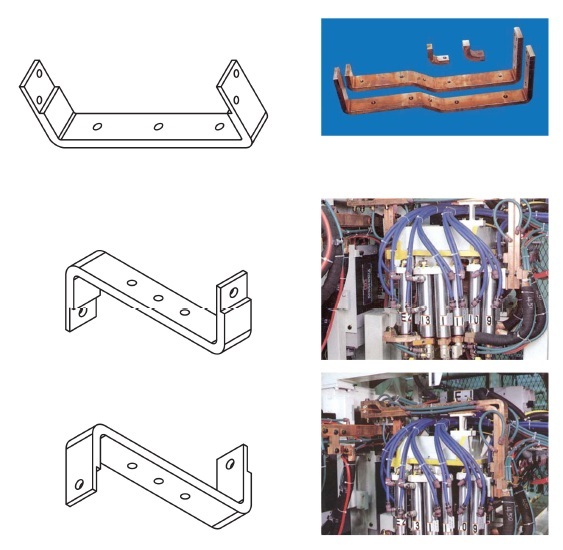 The sizes of Secondary bar and Busbar are used CUP 10t, 15t, 20t and so on. Process of the water hole for cooling down is also available for those section where the welding conditions are hard. Various shapes of products are used on multi welders and other special made welders.